The act or process of supporting a cause or proposal. Change does not occur overnight. It often begins with a singular action that draws attention to a cause or issue. In the case of the Maryland Food Bank, founder Ann Miller made the connection between surplus frozen doughnuts and hunger in her neighborhood. She began to feed her hungry neighbors from her garage, starting a movement. In 1978, after visiting food banks in Detroit and Phoenix, Ann brought the idea here to Baltimore. With much planning and determination, Ann opened the first food bank on the east coast in April of 1979. 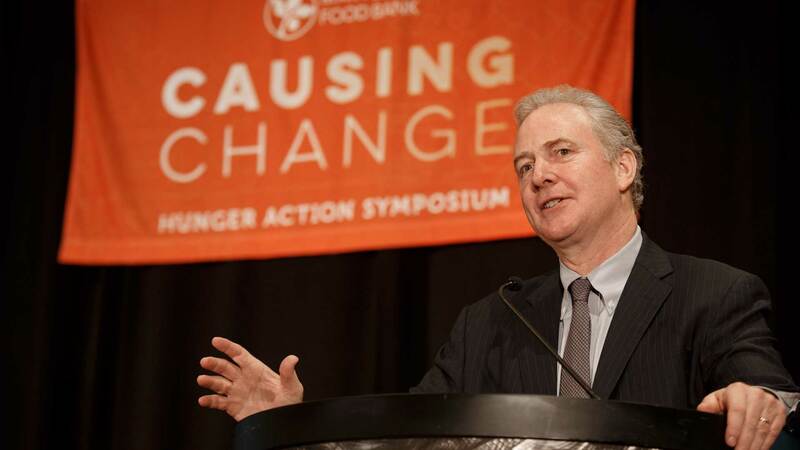 Later that year, Ann hired Bill Ewing as executive director, and together, they reached out to the area’s major players in the food industry, as well as local and state legislators, and philanthropic organizations, turning these key stakeholders into advocates, which allowed the burgeoning movement to tackle hunger on a larger scale. In 1979, the Maryland Food Bank distributed 400,000 pounds of food to 38 assistance sites in Baltimore City. In 1981, we expanded our focus, opening a branch on the Eastern Shore to better serve some of Maryland’s most impoverished counties. Over the next three decades, more than 1,000 community advocates would join the movement, magnifying the impact by becoming MFB network partners. Today, this statewide food assistance safety net distributes enough food annually to provide more than 37 million meals. Advocacy is how we gain and maintain allies in the fight to end hunger in Maryland. It’s how we raise awareness and stay top-of-mind among our core stakeholders. It’s how we have built such a strong anti-hunger movement. Successful advocacy is not just speaking out about a cause; it’s also about listening. By actively soliciting input, and really listening to our supporters, we’ve recognized that we need to be more than just a food provider. While we will continue to source and distribute nutritious food to address the immediate effects of hunger, we have begun to seek solutions to solving its many root causes. We are planning to expand our already successful FoodWorks culinary training program, which has placed hundreds of graduates into food and hospitality industry jobs, and plan to forge additional pathways out of hunger for more Marylanders. By building relationships with other service providers – offering high-need services such as healthcare, transportation, housing, workforce development – we can offer a wide-array of solutions that will meet people where they are and help them deal with their unique circumstances. Our Advocacy Efforts in Your Neighborhood, Annapolis, and Washington D.C.
Food is a basic human right, and hunger is a non-partisan issue that doesn’t discriminate. For 40 years, through administrations both Democratic and Republican, we’ve been fighting hard for our neighbors in need at the city, county, state, and federal government levels. We regularly visit legislators’ offices, take them on tours of our facilities, and bring them to food distribution events at our network partner locations. 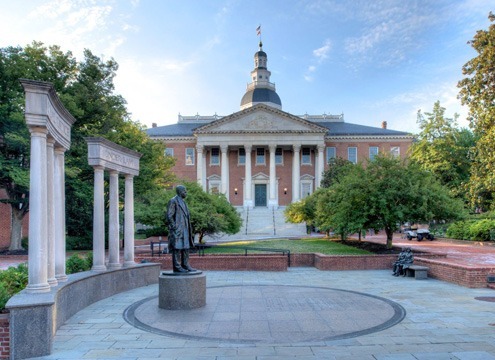 We work hard to ensure that the people who have the power to legislate and help fund the food assistance safety net understand how hunger negatively affects Marylanders, our communities, our cities, and our entire state. 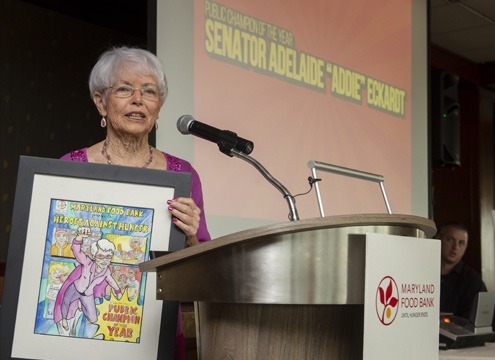 Maryland Senator Addie Eckardt, who represents Maryland District 37B (which encompasses parts of Queen Anne’s, Caroline, Talbot, Dorchester, Somerset, and Wicomico Counties), has been a long-time advocate for the food bank. She served on both the House Appropriations Committee and the Senate Budget and Taxation Committee, and volunteers at food pantries in her spare time. 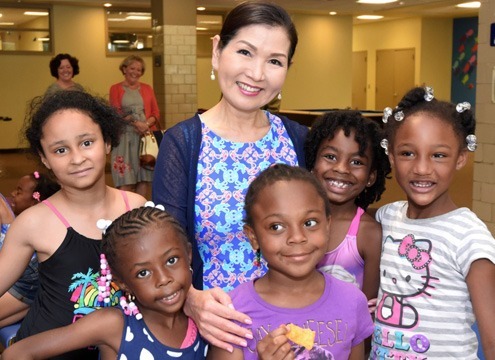 Another one of our key advocates, Maryland First Lady Yumi Hogan, supports MFB in a variety of ways. In addition to partnering with the Church of Latter-Day Saints during the Governor’s Day to Serve initiative to donate tens of thousands of pounds of food to MFB, she has visited with and served meals to children at one of our Summer Club sites, helping to raise the stature of the program. Businesses recognize the importance of having strong communities around them, and we recognize the power companies have to affect change. That’s why corporate partners are some of our strongest and most effective advocates. Companies that engage in efforts to improve society (sometimes referred to as Corporate Social Responsibility) tend to have a more enjoyable and positive workplace, where professional and personal growth, as well as individual philanthropy, can thrive. By supporting the Maryland Food Bank, corporate partners remind people that they too are part of the community and value the work we do enough to pitch in to make it even stronger. We’re fortunate to have the support of hundreds of Maryland-based businesses that understand the impact healthy communities have on their success. As a result, they partner with us in a variety of ways: they volunteer, they support the philanthropic efforts of their employees by offering workplace giving and matching gift programs, and they help further our mission by donating resources, services, and goods. While the support from legislators and corporations is vital to our success, nurturing our grassroots advocates is some of the most important work we do. Through marketing and public relations activities, we strive to continually tell the real stories of people facing hunger in Maryland. We are in local neighborhoods on a regular basis, participating in panel discussions, conferences, and community events. In times of crisis, we rally the public to speak out on behalf of hungry Marylanders. When the federal government threatened the safety net in 2018 by proposing changes to feeding programs, we engaged our supporters. 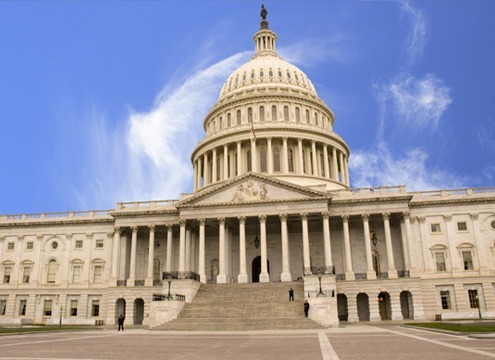 Thousands of concerned citizens became advocates, signing a petition in support of the basic human right of access to food, which was shared with legislators in Annapolis and Washington, D.C. In late 2018/early 2019, during the longest federal government shutdown in history, our advocates sprang into action, offering support in the form of food and funds for their fellow Marylanders who suddenly found themselves without a paycheck. Corporations, individuals, and other backers joined forces with us to host a number of Pantry On the Go events in communities where furloughed workers live. Without advocacy, this sort of agility simply would not be possible. This website, quarterly newsletters, local speaking engagements, advertising, and events are all powerful community advocacy tools for us. The more people know about hunger, the more effective they can be as advocates. By simply reading this, you are engaging in “the act or process of supporting a cause or proposal.” You have educated yourself about one aspect of our cause and can help spread the word to others. Successful advocacy takes time. It takes good communication and strong partnerships. We value and thank you for your support, in every way, shape, and form. Add your voice to a growing hunger-fighting community who believe food access is a priority.